"Accupath Solutions has established itself as a renowned name in the HR realm by providing wide range of recruitment and selection services to diverse companies. Our team of expert consultants is dedicated towards leveraging the business potential of our clients by offering strategic HR services. Moreover, our global presence in India and American markets gives us a benchmark to stand among one of the leading HR firms." 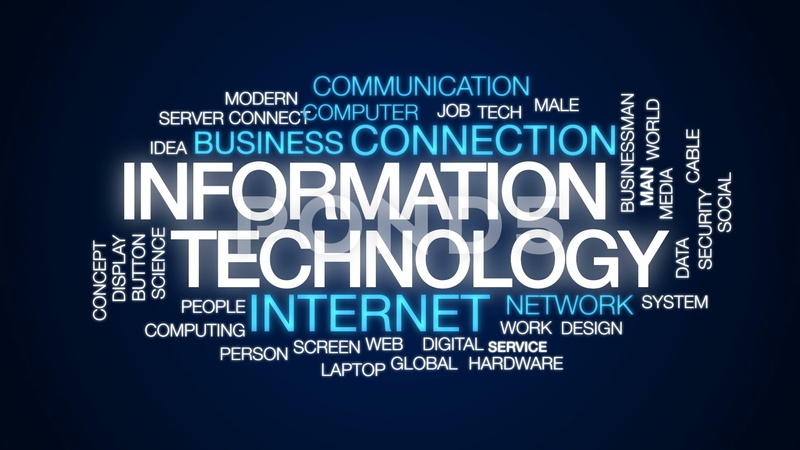 The goal of Information Technology Services (ITS) is to provide an innovative, customer-focused, and robust foundation for information technology (IT) solutions that enable the university community to pursue excellence in research, education, and public service. It all started with BPOs that provided voice based services for their offshore clients. The purpose of hiring BPO was achieving cost efficiency and handling work flow during peak volume.The market for non-voice services is wide and is expected to grow faster. When you have successfully mastered cover letters, resumes, and job applications and are receiving requests for interviews, it's time to understand how to succeed in the job interview so that you are ever closer to your goal of obtaining one or more job offers. Success in a job interview starts with a solid foundation of knowledge on the job-seeker's part. You should understand the employer, the requirements of the job, and the background of the person interviewing you. Preparing responses to expected interview questions. First, inquire as to the type of interview to expect. Your goal is composing detailed yet concise responses, focusing on specific examples and accomplishments. Plan out a wardrobe that fits the organization and its culture, striving for the most professional appearance you can accomplish. Remember that it's always better to be overdressed than under -- and to wear clothing that fits and is clean and pressed. Keep accessories and jewelry to a minimum. There is no excuse for ever arriving late for an interview -- other than some sort of disaster. Strive to arrive about 15 minutes before your scheduled interview to complete additional paperwork and allow yourself time to get settled. Finally, as you get to the offices, shut off your cell phone. Make Good First Impressions -- to Everyone You Encounter. A cardinal rule of interviewing: Be polite and offer warm greetings to everyone you meet, Make a strong first impression by dressing well, arriving early, and when greeting your interviewer, stand, smile, make eye contact, and offer a firm (neither limp and nor bone-crushing) handshake. Once the interview starts, the key to success is the quality and delivery of your responses. Your goal should always be authenticity, responding truthfully to interview questions. Provide solid examples of solutions and accomplishments -- but keep your responses short and to the point. While the content of your interview responses is paramount, poor body language can be a distraction at best -- or a reason not to hire you at worst. Effective forms of body language: smiling, eye contact, solid posture, active listening, nodding. Studies continually show that employers make a judgment about an applicant's interest in the job by whether or not the interviewee asks questions. Thus, even if the hiring manager was thorough in his or her discussions about the job opening and what is expected, you must ask a few questions. An adage in interviewing says the most qualified applicant is not always the one who is hired which means the hired candidate is often the job-seeker who does the best job in responding to interview questions and showcasing his or her fit with the job, department, and organization. Thank you for being so thorough and attentive throughout the recruitment process, for this role. You truly are a great ambassador for the industry and a true credit to Accupath Consultants. My consultant” was professional, friendly and helpful from start to end. A credit when compared to many other recruitment consultants I’ve interacted with. My consultant presented all information in a clear way and answered all my questions. I did like the enthusiastic attitude of the consultant.